The Bonita Springs Fire Control and Rescue District implemented significant change and initiated positive momentum concerning the growing demands for the protection of the lives and property of our citizens. The key focus was on infrastructure changes to meet the growth of our community. The Fire District experienced a 12.3% increase in call volume while lowering the tax rate for the year to a millage rate of 2.33 per 1,000 in taxable value. The District employed a third party consulting company to provide a facilities and operational report. The report validated our current operational strategy, staffing, and station locations. The report suggested that our system of service delivery and management are of the highest order of efficiencies. These efficiencies were taxed to maximum capacity in response to Hurricane Irma. Consequently, the 2017 economy offered the Fire District the opportunity to shore up the current infrastructure and implement growth. 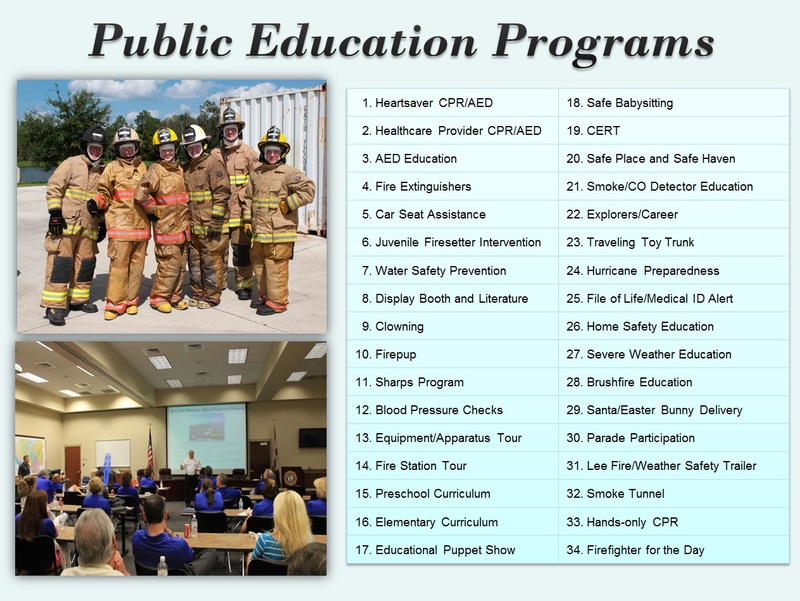 These goals were accomplished by placing into service, a new ladder truck and a mini pumper for two new fire stations. The Fire Board approved the construction of Station 26, which was completed and staffed, and is currently responding to emergencies. This fire station will provide much needed fire-rescue emergency response to the residents and visitors in the area. Additionally, Station 27, located on Little Hickory Island, is operational and responding to emergencies. Three firefighter-paramedics respond in a mini-pumper to all fire and EMS incidents to the isolated coastal area of the District. Station 27 includes dock space for our rescue boat, which dramatically reduces our water rescue response times. Once again, we look forward to continuing progress with the perpetual focus of achieving excellence in the upcoming year. The Bonita Springs Fire Control and Rescue District will continue to seek the most efficient and effective method of providing emergency response to keep the citizens and visitors of Bonita Springs safe.